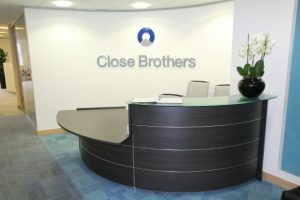 ….Was it just a year ago that Close Invoice Finance opened their Birmingham operational centre in a blaze of publicity. No doubt there will be far less publicity now that they have decided to close it with the inevitable redundancies..In an effort to slash costs we hear that the Manchester operation centre is also being closed with the decision being taken in the same month as the announcement that Ian Steward had been appointed Managing Director of Close Invoice Finance in the North. .Were not quite sure what he is Managing Director of now….. I have experienced nothing but hardship during the very short time I have had to deal with CLOSE INVOICE FINANCE!!!! I have never encountered a financial institution that has been so difficult to work with. As a Financial Manager it became an extremely concerning part of my daily routine. They are prohibitive, non commercial and furthermore just down right arrogant in there customer care. They lack of understanding and knowledge of simple day to day trading circumstances is nothing short of astounding. I for one would never ever recommend these to anyone. Horrendous is my experience!!!! I just cannot understand how a company of this so called stature can even offer the services they do. I would really like going forward to try and establish a forum for the many others that have experienced what I have. If you support this please respond now by voicing your disapproval!!! You are so right ! Corporate Bullies is what they are, £187k of charges in ten months !!! Rude Boys of the highest order. Our invoice finance facility with Close nearly strangled our business. We entered into the facility so we could pay drivers and our fuel company. Rather than getting 85% prepayment, restrictions meant we only got about 30% while paying through the nose for it. Thankfully we moved to a proper bank and now receive full funding at 90%. Moving away from them was the best thing I did. If you are thinking of using Close don’t bother!! Our dealings with Close Brothers Invoice Finance have been nothing but frustrating. I find them arrogant and would in some instances question their honesty. We have had instances where they agree one thing and then simply do as they wish. They are rigid, inflexible and unapproachable. In terms of the invoice finance market there are lenders that can do what Close do cheaper and better.